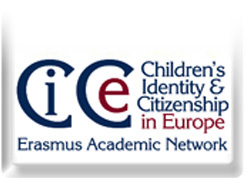 The Association makes an annual award or awards for the best publication(s) of the year in the field of citizenship education and identity related to children and young people that has been written by a CiCea members. The Awards identify and promote excellence in publication in the field and to commend the quality of publication by members of the Association. Publications submitted must be published in the year, and must be either authored or co-authored by a member or members of the Association, and be in either print or e-format, as a journal article, book, chapter, or any other form of publication. The first awards were made for publications that appeared in 2010. Nominations must be made on the form below, by any member of the Association, including the authors of the nominated work. An anonymised version of the work submitted must be submitted in an electronic copy format. The deadline for nominations for 2018 are now being accepted. All submissions must be received by May 5th, 2019, and sent electronically to ciceassociation @ gmail . com, to be reviewed. The Executive Committee has nominated an publications award committee, which may contain some or all members of the Executive Committee. The publications award committee makes a shortlist of works, and then announces the winners at the Association's Annual General Assembly. Download the full regulations and an application form. 1. Best Research Article: Monro, S., & Van der Ros, J. (2017). Trans* and gender variant citizenship and the state in Norway. Critical Social Policy, 38(1): 57-78. 2. Best Praxis Publication: Cowan, P. & Maitles, H. (2017). Understanding and Teaching Holocaust Education. London: SAGE Publications Ltd.
Savva A., & Telemachou N. (2016). Voices and Positions. 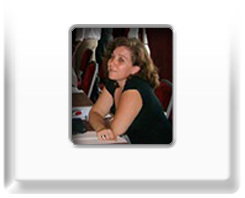 In Gonçalves S., & Majhanovich S. (eds) Art and Intercultural Dialogue. Comparative and International Education (A Diversity of Voices). Sense Publishers Rotterdam. Mycock, A. (University of Huddersfield, UK, CiCea Institutional Member) & Tongue, J. for their 2011 publication entitled 'A Big Idea for the Big Society? The Advent of National Citizen Service', The Political Quarterly, 82(1): 56-66.